to celebrate the Month of Photography! Our featured member photographers include: Mike Holtby, DenverPhotography.com, Dave Aldridge, DaveAldridgePhoto.com and Katy Tartakoff, KatyTartakoff.com. 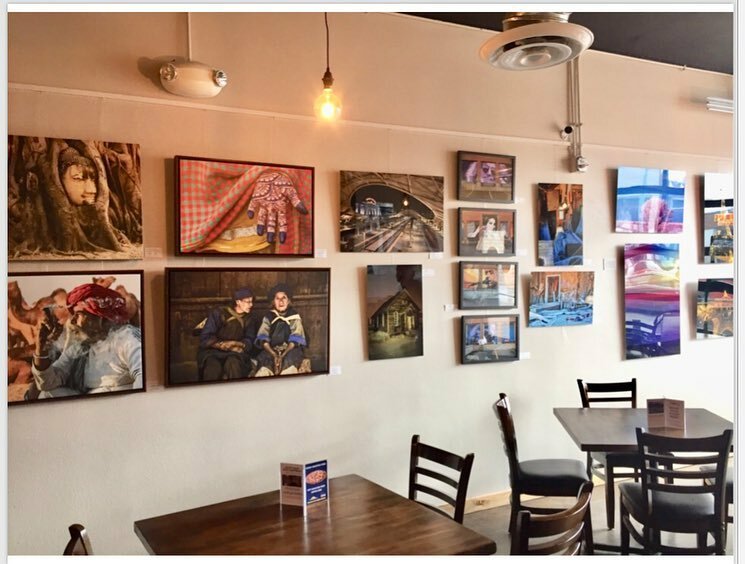 Stop by Peak to Peak Brewery located at 9735 East Colfax in Denver to see their work and please join us for the closing reception on March 28th from 6:00 to 8:00 pm. Stapleton Artists nonprofit organization is excited to showcase several of their members at Stanley Marketplace one Saturday in September. Meet the artists, ask questions, and/or observe them as they bring blank canvases and mounds of clay to life. Artists will share stories of their process and demonstrate their skills as they create new pieces during this four-hour event. 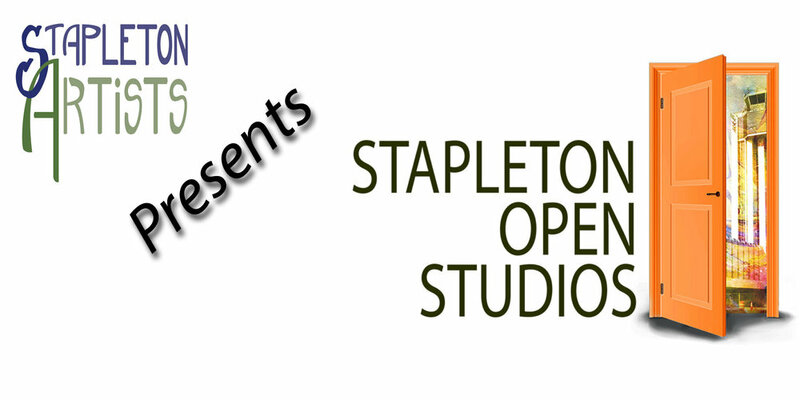 Stapleton Artists Organization is a nonprofit group that promotes arts education, shows, workshops, and more, including the annual Open Studios event. July 25th, Wednesday evening from 6:30 - 7:30. * Matthew Blackburn, CPA, graduated from the University of Texas at Austin with a BA in English, and from the University of Colorado at Denver with an MS in Accounting. (In other words, you can rely on Matt for clear, layman-friendly explanations of the most esoteric tax concepts.) Matt discovered that his heart lay in providing personalized service to individuals and small businesses and non-profits. That’s why he started The Sand Creek Company in 2013. 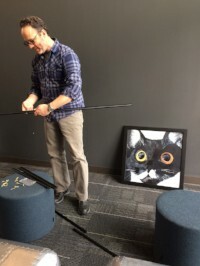 A resident and unabashed fan of Denver’s Stapleton neighborhood, Matt is often found out and about with his wife and daughters, enjoying the pool, the parks, biking or walking his dog, a Chihuahua mix named Sugar. 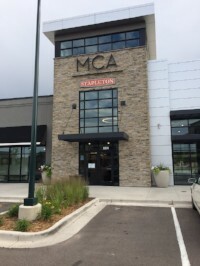 Matt is also the treasure of Stapleton Artists organization. June 27th, Wednesday evening from 6:30 - 7:30. * Amanda Armstrong is a librarian with a passion for research and analysis. In this role, she works with a team of skilled business research librarians on Bizboost and oversees business outreach for the library. Prior to becoming a librarian, she held a variety of data and project management roles at DaVita HealthCare Partners over 13 years. She enjoys taking on additional challenges to include working as a wedding coordinator and a Virtual Teaching Assistant for graduate level courses in website user experience and the fundamentals of metadata. Her formal education includes a BA in music from Gustavus Adolphus College in St. Peter, Minnesota and a Master of Library and Information Science from the University of Milwaukee Wisconsin. Creative Minds . . . it's an ART thing! May 30th, Wednesday evening from 6:30 - 7:30. Our next Stapleton Artists meeting is scheduled for April 25th, 2018 at our pop-up gallery in the Creek Stone Homes model home. 9091 61st Ave, Denver, CO 80238 at 6:30. We will have a critique session. This meeting is open to the public so all are invited! Bring a finished piece of work or a work in progress for critique. As you know, the pop-up gallery has no furniture. Bring your concert chair, pillow or blanket so you can be comfortable during the critique. Light refreshments will be served. Stapleton Artists is able to provide these community events based in large part from our membership fees - please join or renew your membership today! Stapleton Artists is pleased to have one of it's own participating in the following events. 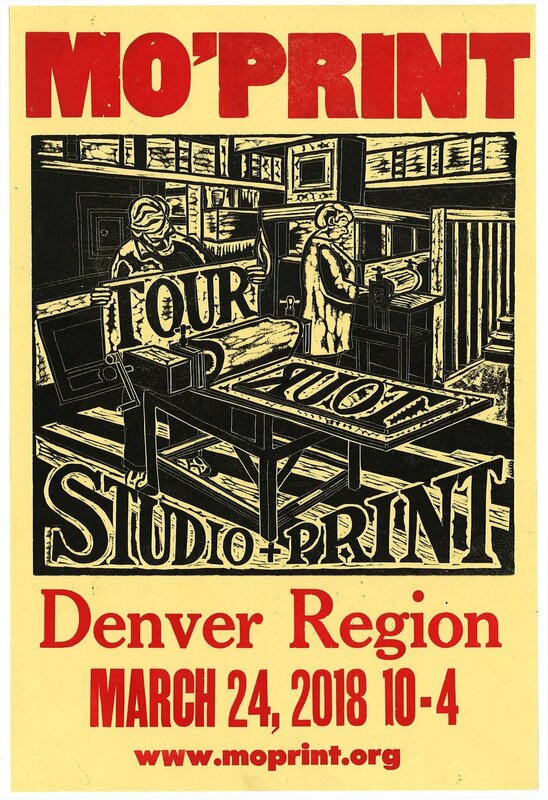 The wonderful woodblock prints of artist Michael Keyes is featured on the posters! Congratulations Michael! Please support your local artists and check out these fabulous events! One is March 17 and the other is March 24. Would you like to get some feedback on a piece of work in progress or a finished piece? Come along to the Art Gym, 1460 Leyden Street, Denver, CO 80220. February 20th from 7:00 pm – 9:00pm for an art critique. They have a rotating guest artist to facilitate each session. We thought it would be fun to get together as a group. Feel free to bring a piece of art for critique or join us to network, observe and learn. Stapleton Artists, a non-profit organization, is starting the year off celebrating art at the Sam Gary Library branch, 2961 Roslyn St., Denver CO. During the month of January we have an exhibit featuring the artwork of several of the Stapleton Artists members. Stapleton Artists' are proud to be partnering with Creek Stone Homes, a builder in North Stapleton, to present a Pop-Up Art Gallery in one of the builder's model homes. This is an excellent opportunity to view local artists' work and see the exciting new homes in the Beeler Park area of Stapleton. Artists' currently on display: Dave Aldridge, Michael E. Holtby, Susan Crane, Beatriz Bearden, Linda Wingate, Marian Davis, Paul R. Bareis, Kathy Skarvan and Rebecca Musgrave. Gallery Hours: Wed.-Sat. 10am - 5pm, Sun. Noon-5pm. Want to know more about 3 of our FABULOUS artists this year? Check out this wonderful article in the Front Porch newspaper!